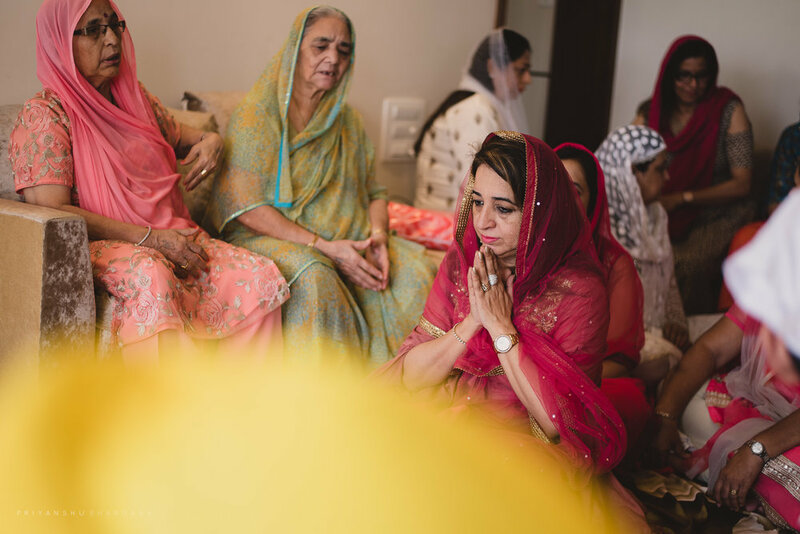 I met this family of pilots in Mumbai where we planned out all the events for this was a Marwari-Sindhi combination. 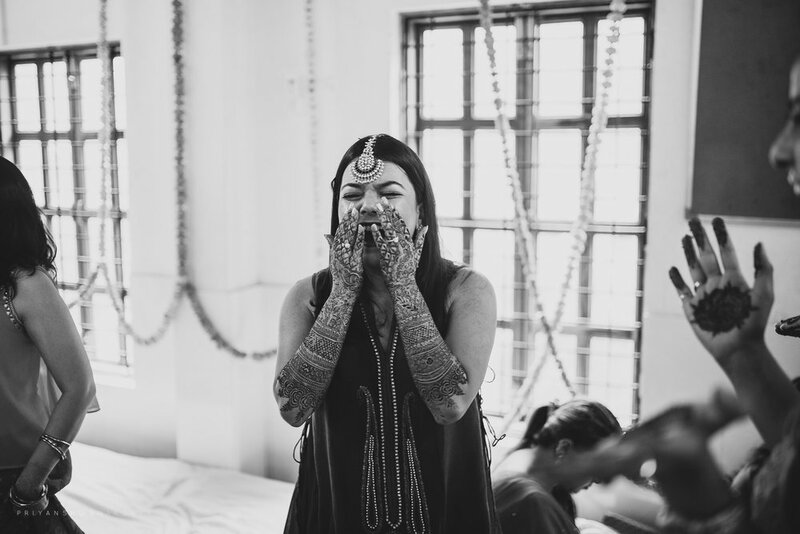 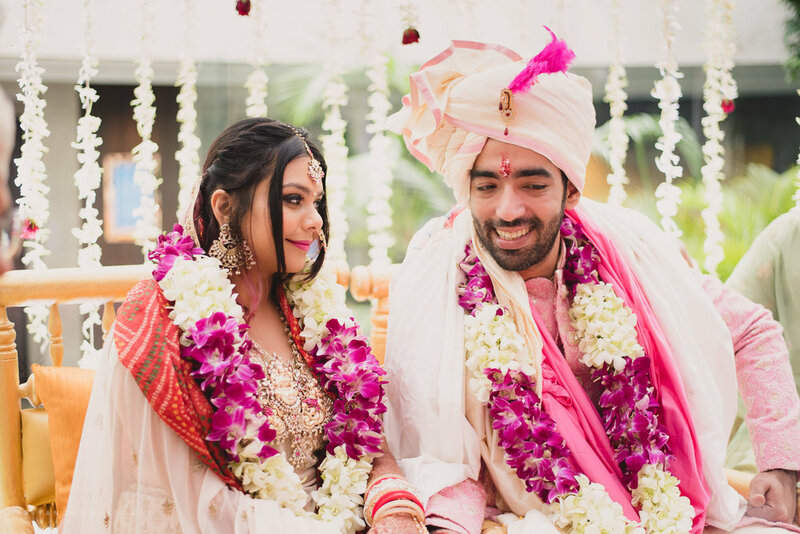 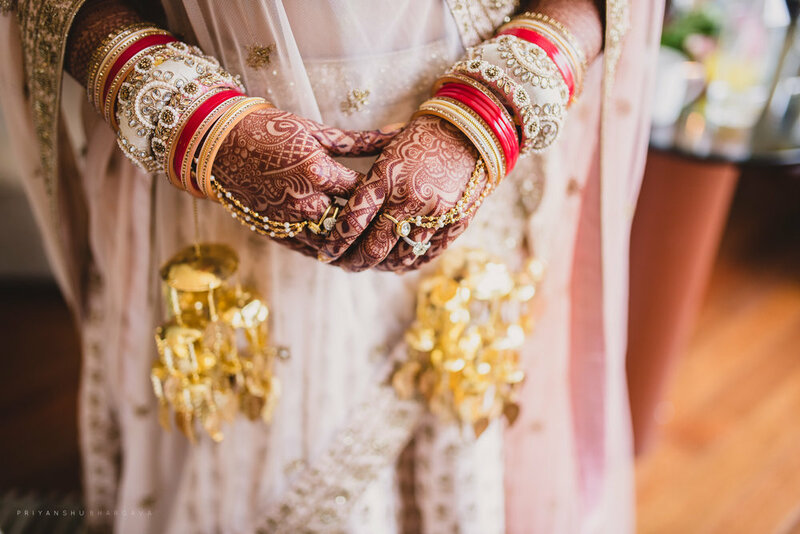 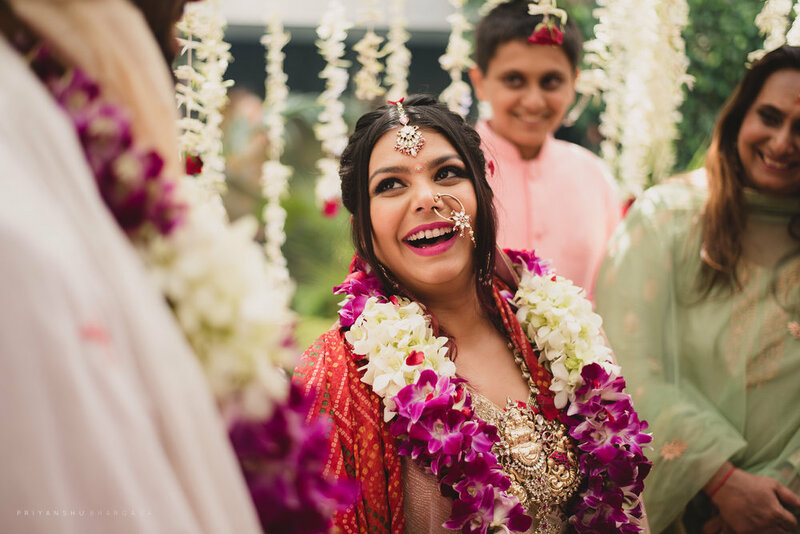 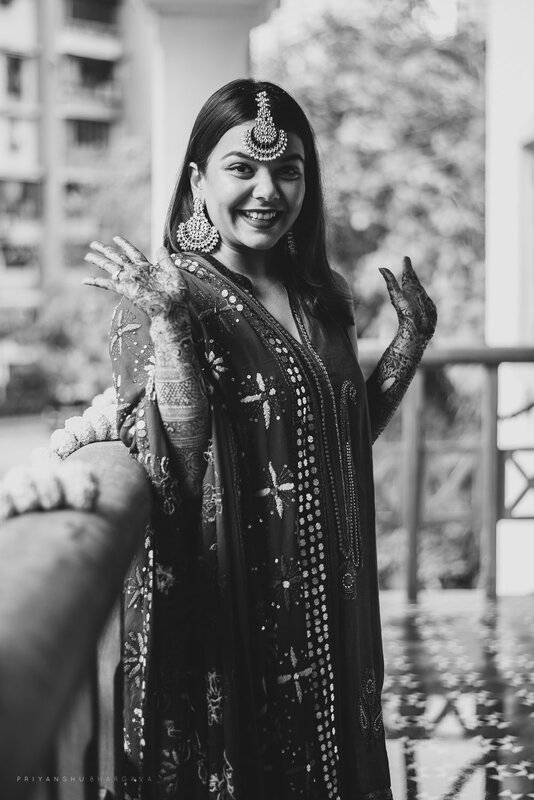 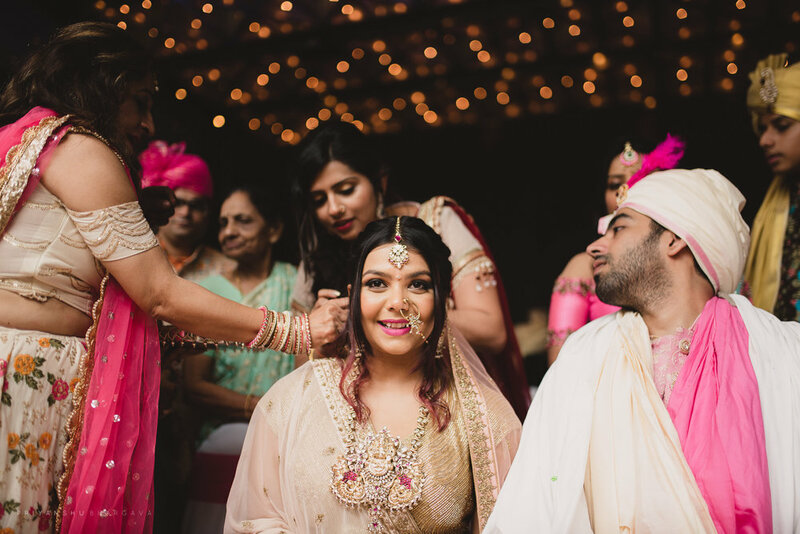 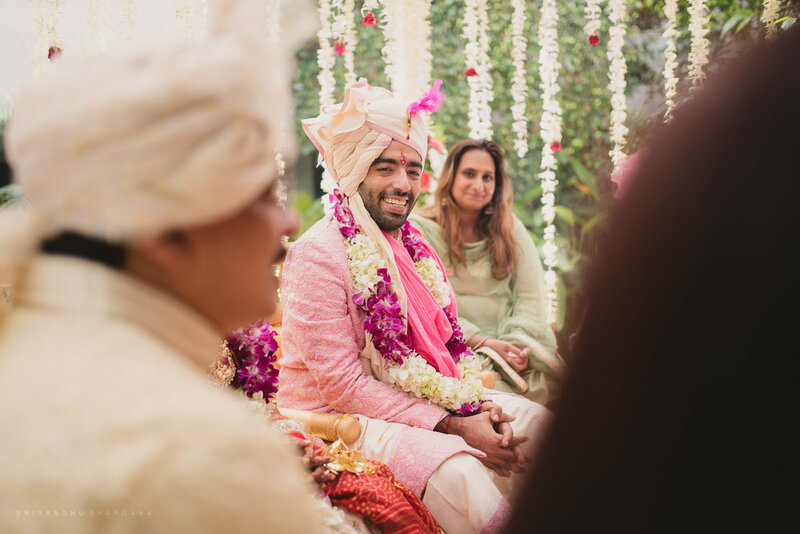 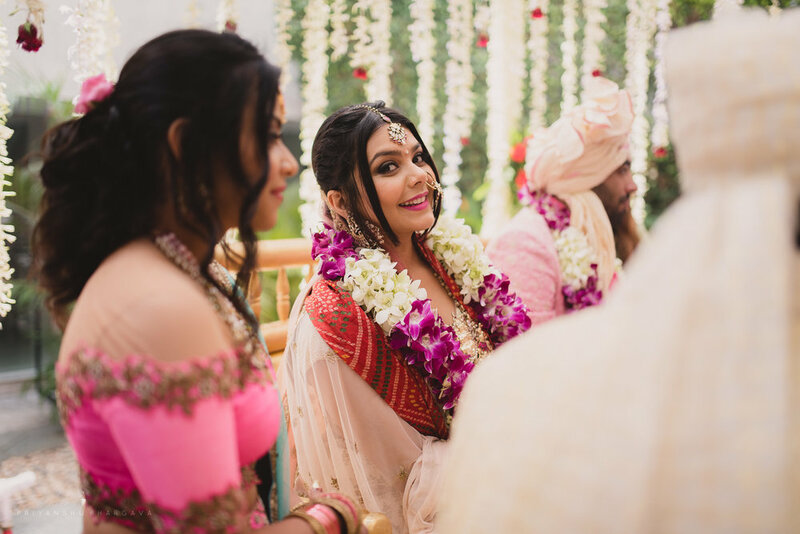 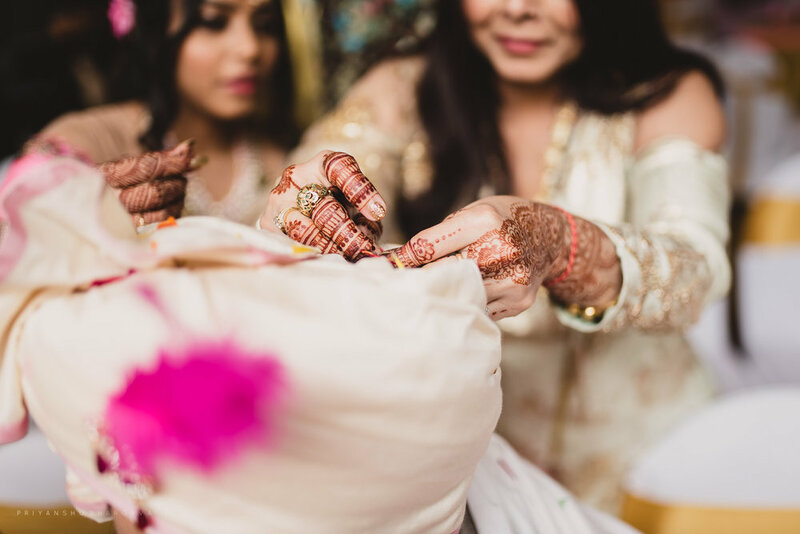 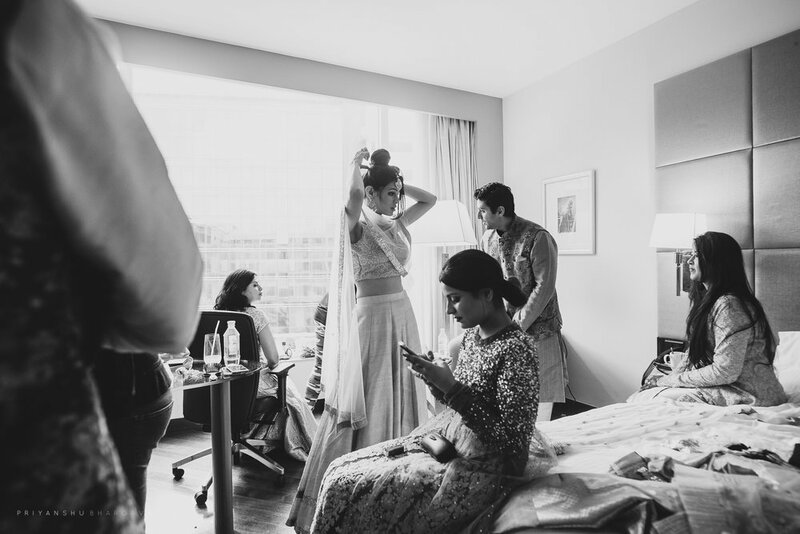 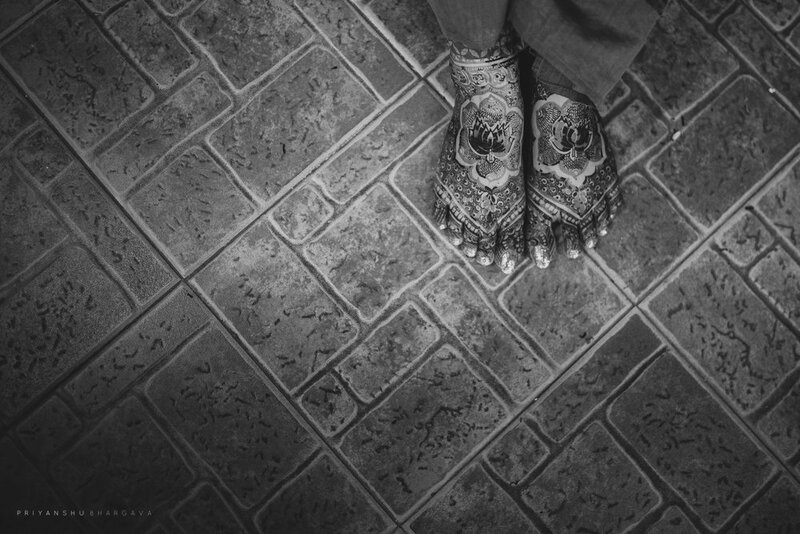 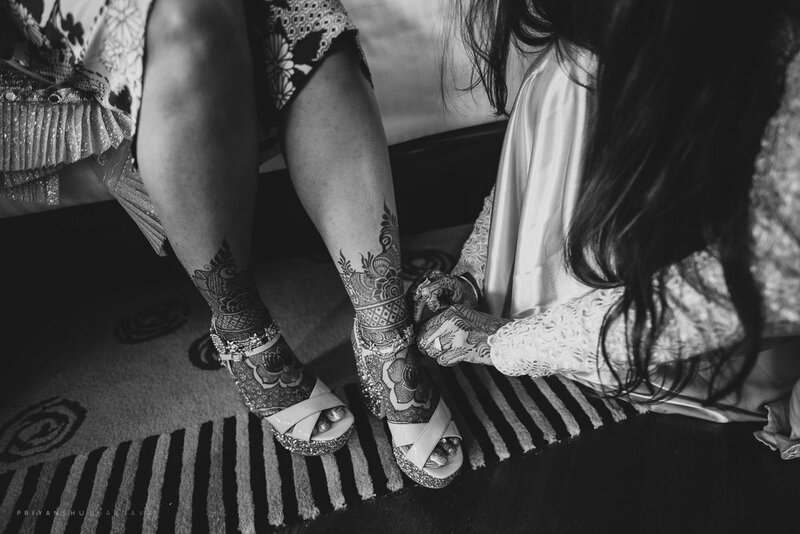 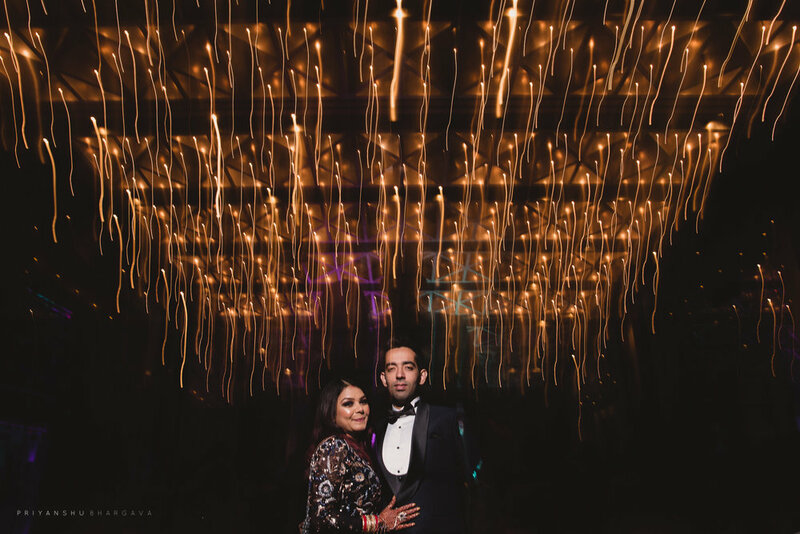 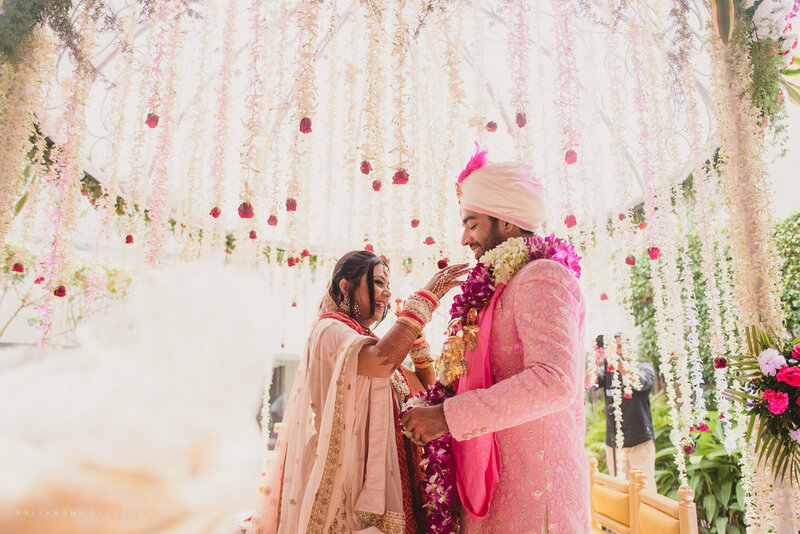 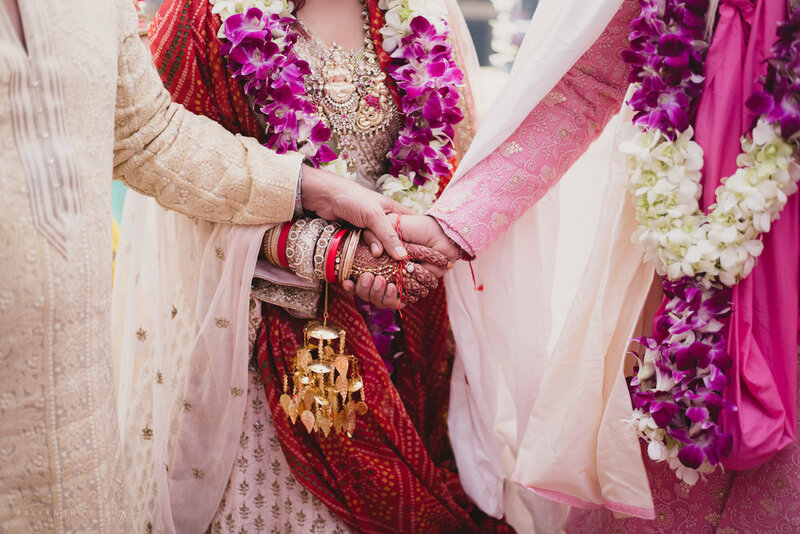 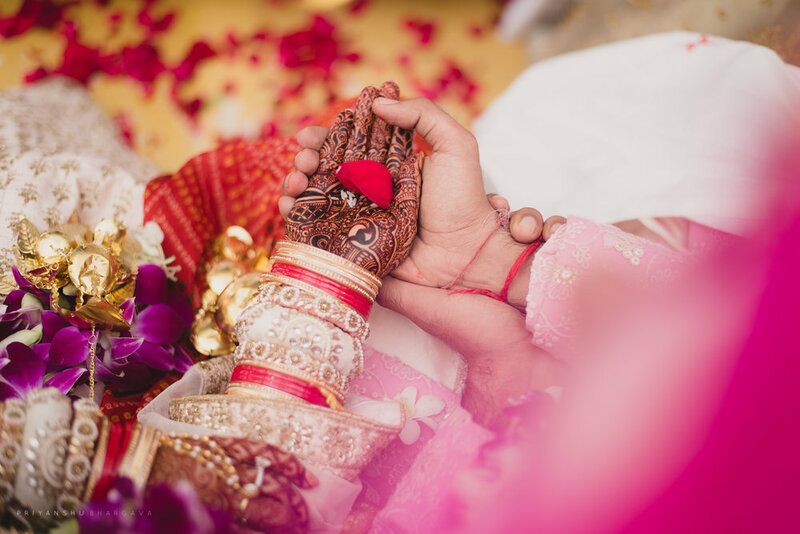 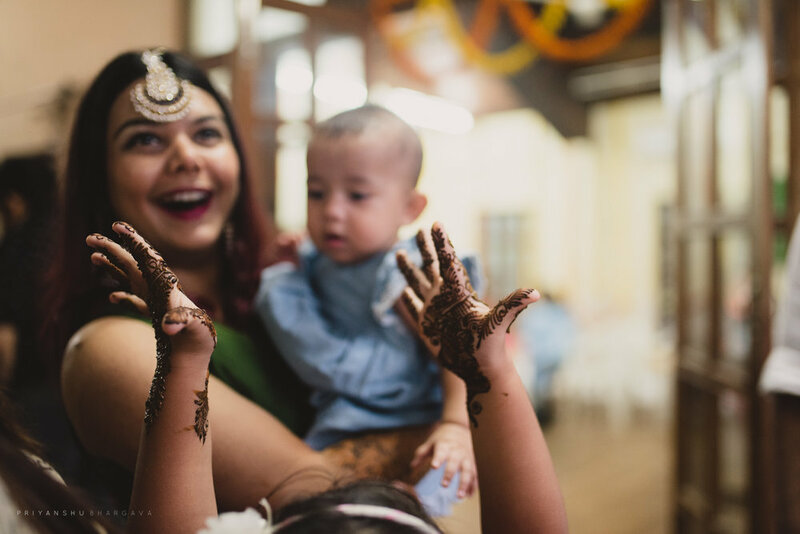 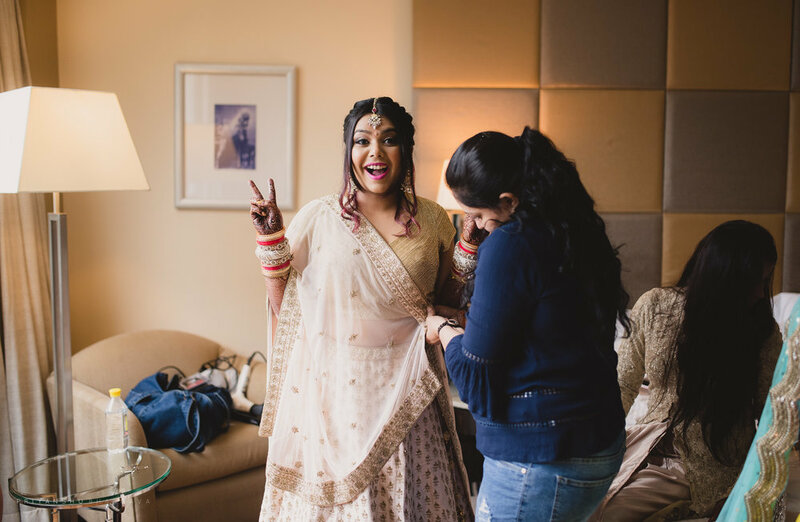 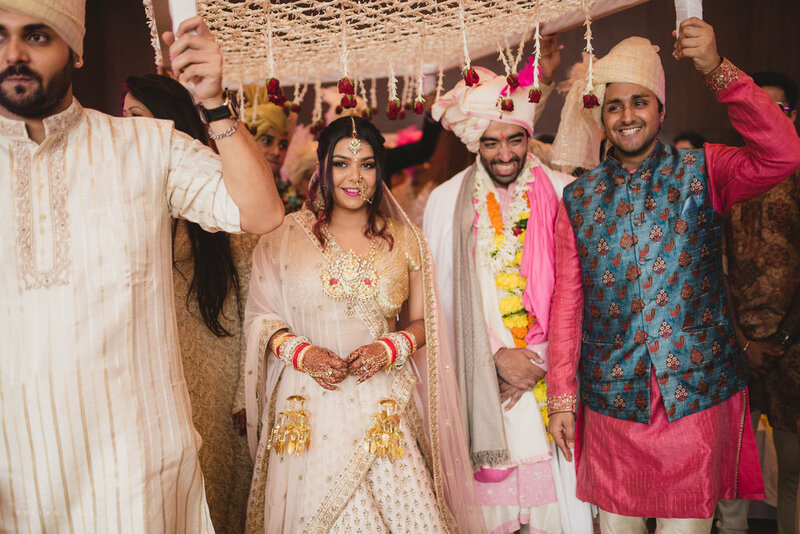 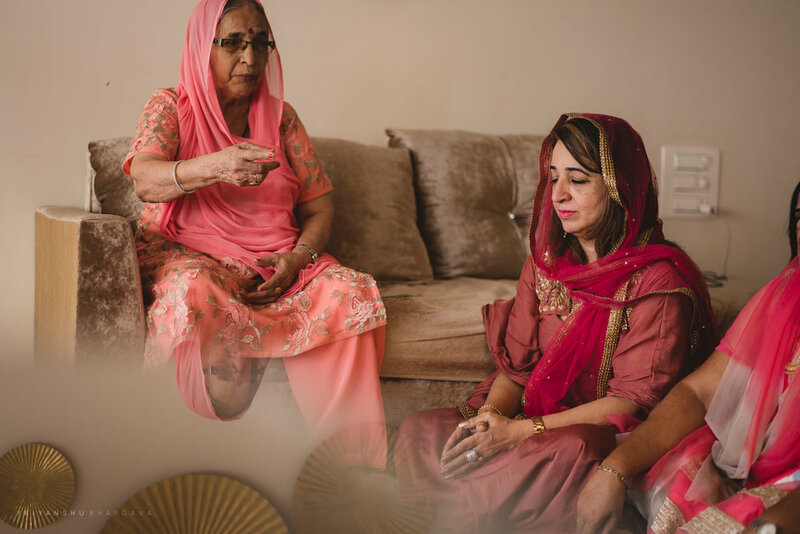 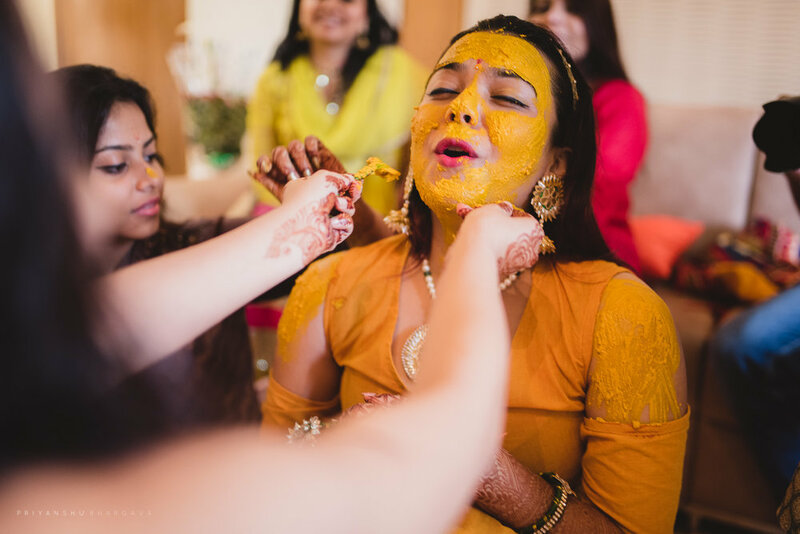 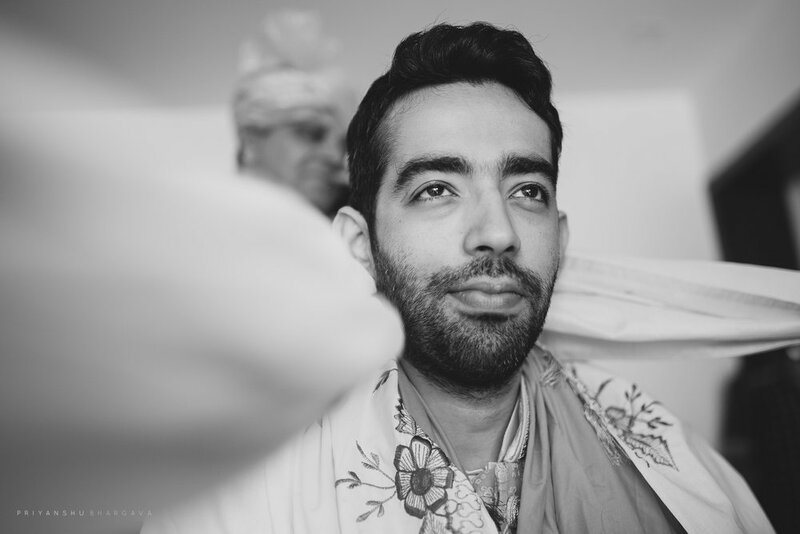 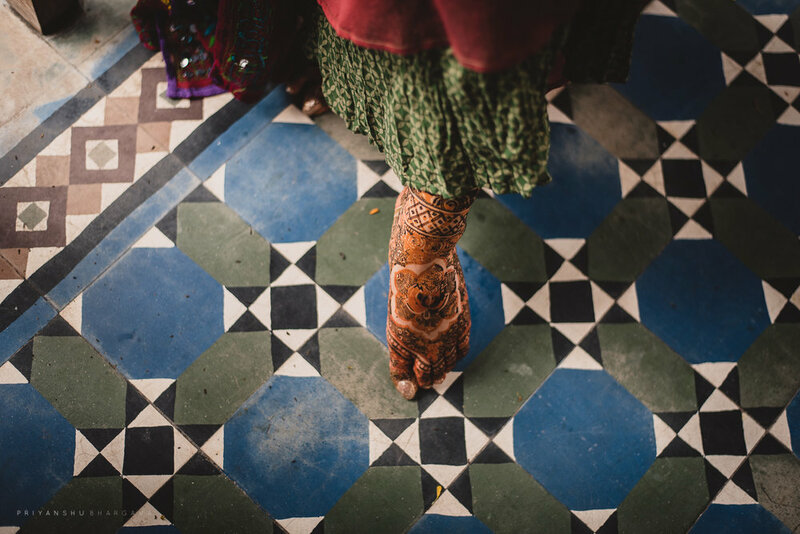 The bride had a small Mehndi and haldi ceremony with close friends and family while the groom’s side had a peaceful Gurugranth Sahib path ceremony. 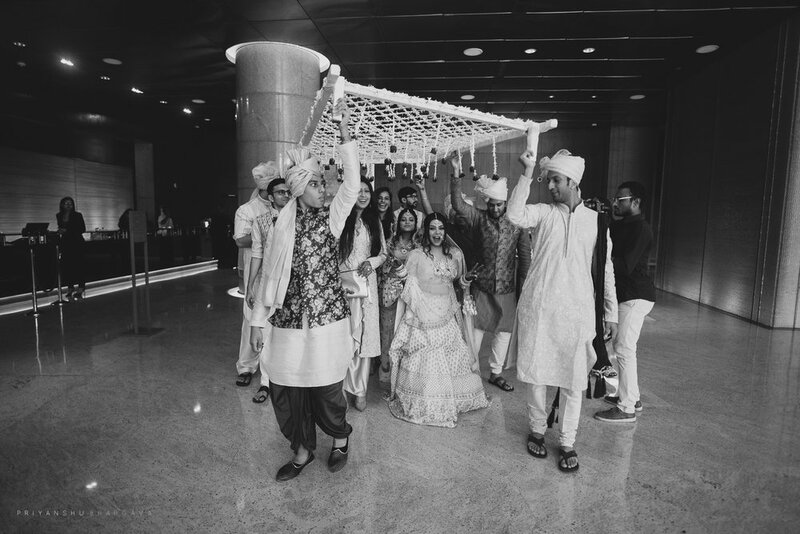 This was followed by a rip-clothes-apart ceremony (I named this :P) which was such a fun event to watch! 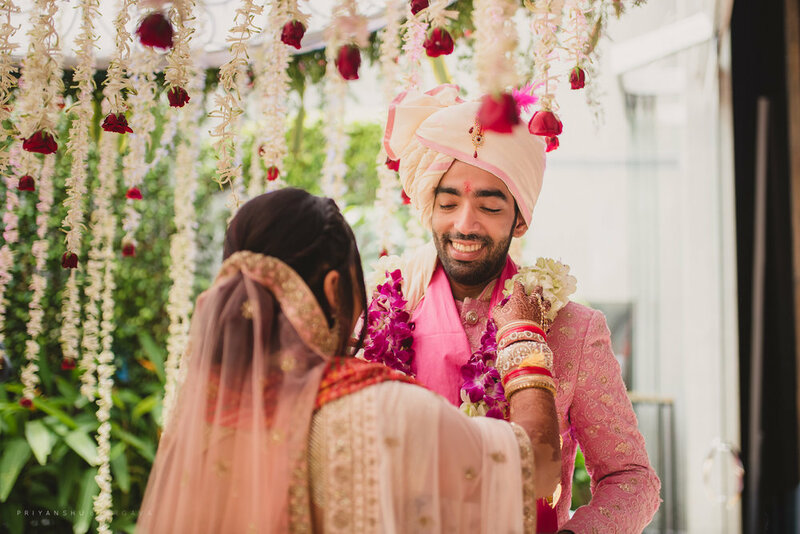 The day of wedding arrived and this couple was gleaming, looking so amazing with their color coordinated dresses. 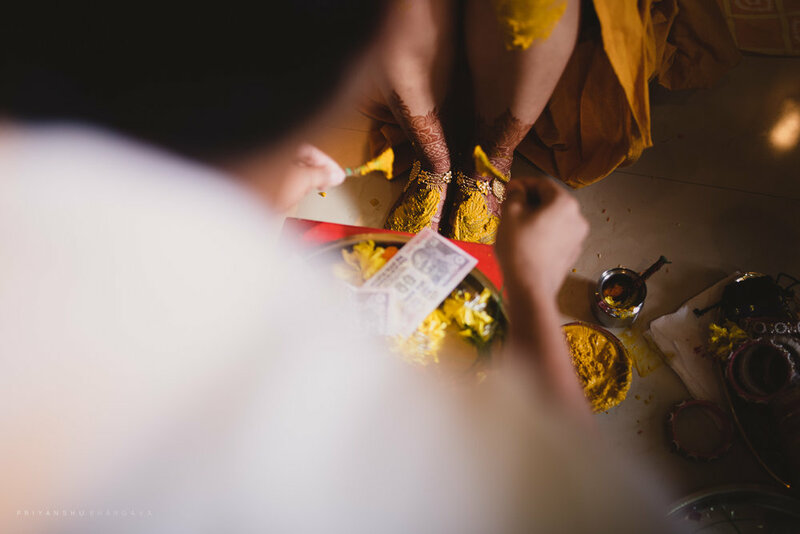 The Pandit conducting the wedding ceremony was funny and the couple didn’t miss a chance of his leg-pulling. 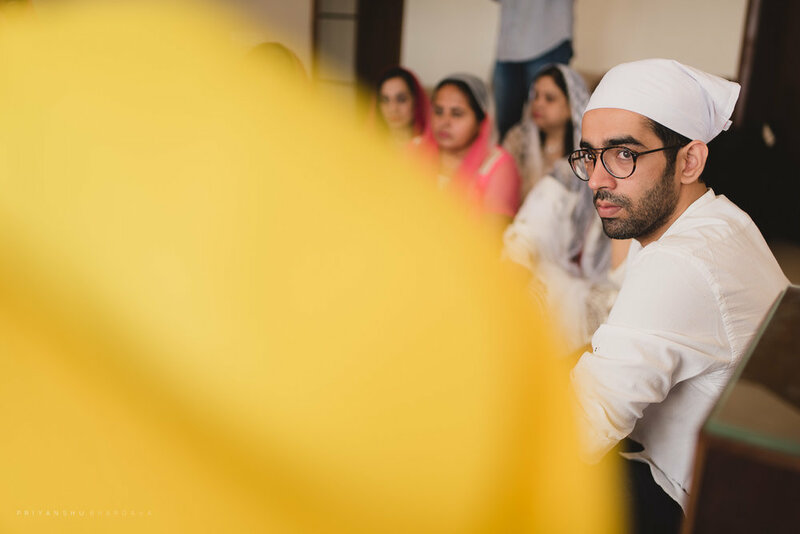 It was a very light-hearted, pure and no tension-drama anywhere. 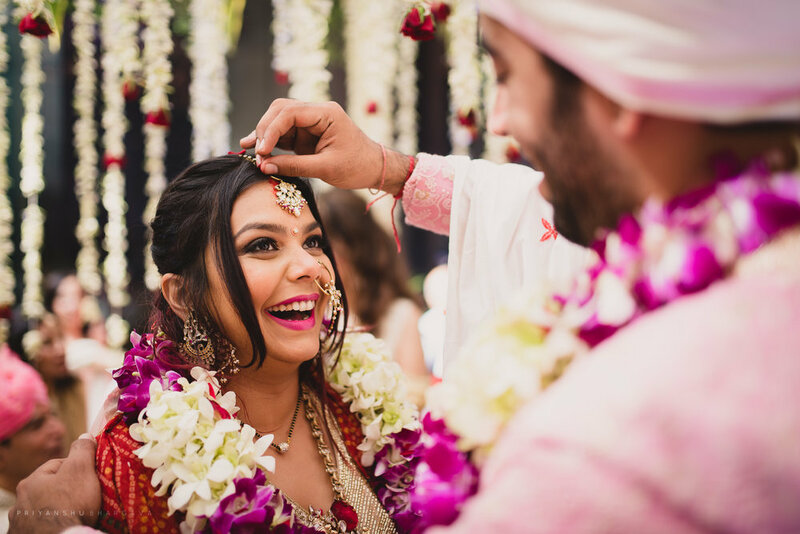 Let me tell you, the two of you have super-amazing set of teeth so keep smiling always My bestest wishes to both of you Nityanand-Shivani, keep rocking! 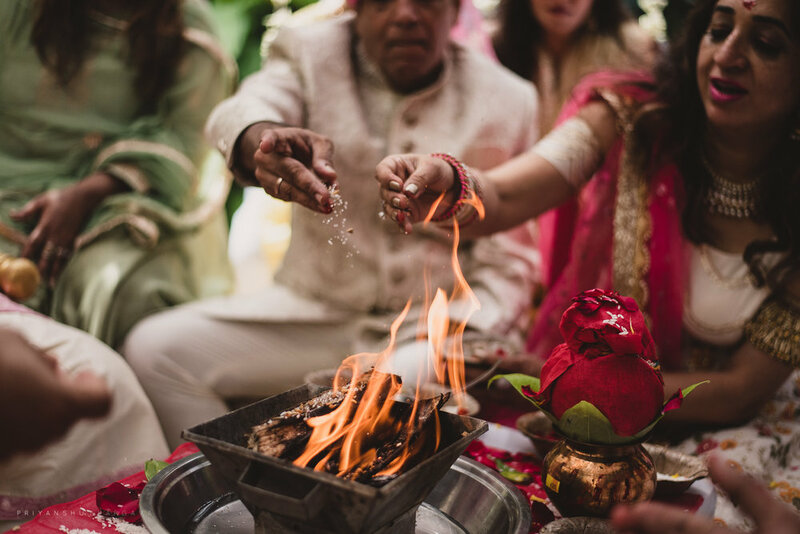 Cheers to this new journey of yours!